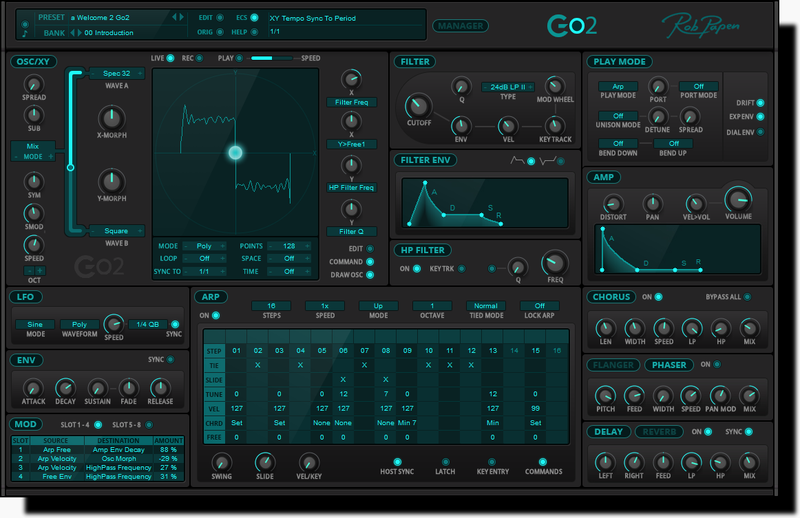 Rob Papen has announced Go2 a new "simple" VA softsynth, priced at $49 or 49 EU. All controls on one screen and a simple architecture (although it is not that simple...3 EGs, 2 filters, mod matrix). It's also remarkably inexpensive, there is no mention of $49 being only an introductory price.